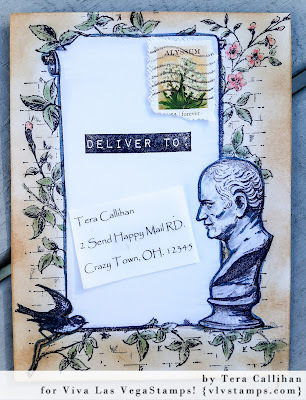 If you know me, then you know mail art is my favorite thing to create! So, I am excited to get to share with you today! I decided to break the rules a bit with this envelope... Who says the envelope has to go long ways anyway? 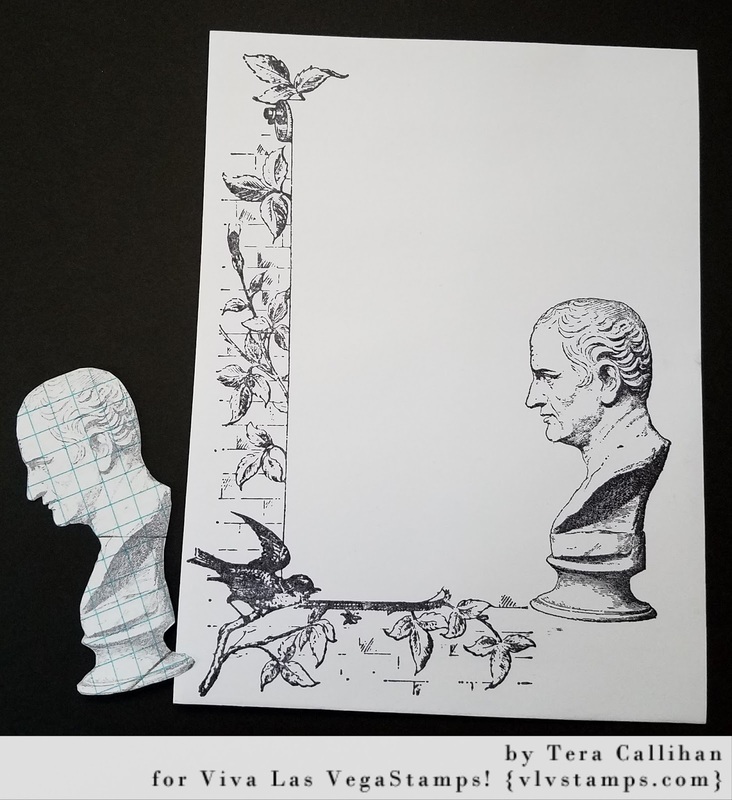 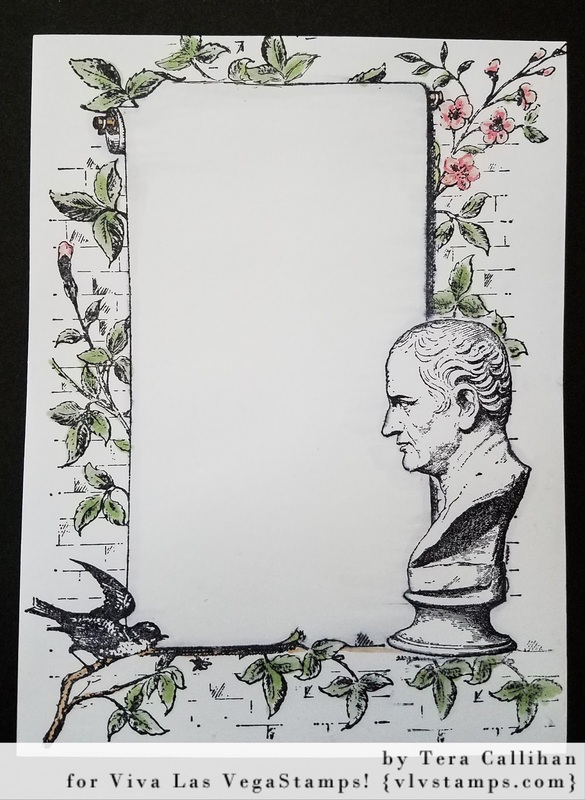 I started by stamping the "bust of a man" on the right hand side of the envelope and again on a scrap piece of paper which I used to mask this off. 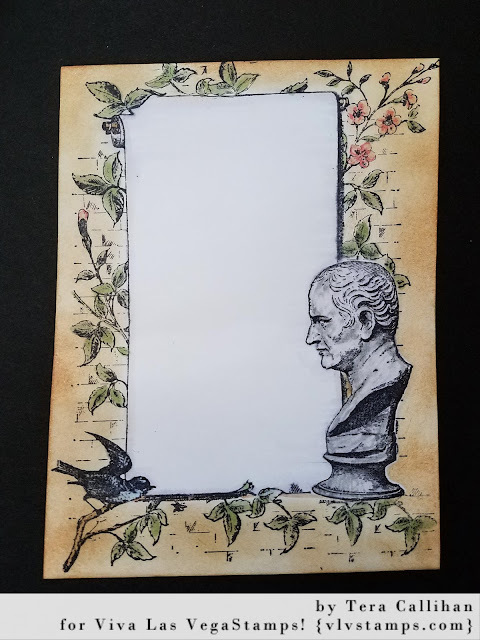 I then stamped the right side of "flower and bird frame" stamp. At this point I inked around the boarder of my envelope with the various yellows. Once my background was inked, I removed my Statue mask and begin to color all of the fine details. and welcome to my blogpost for today ! 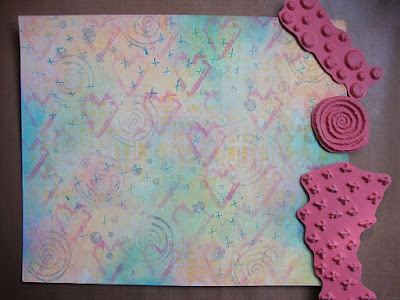 I have made another art journal page. 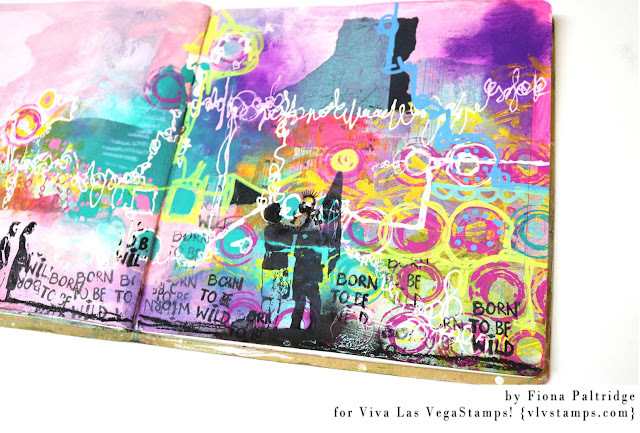 I love making art journals and getting painty and inky ! 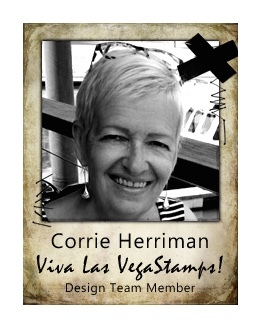 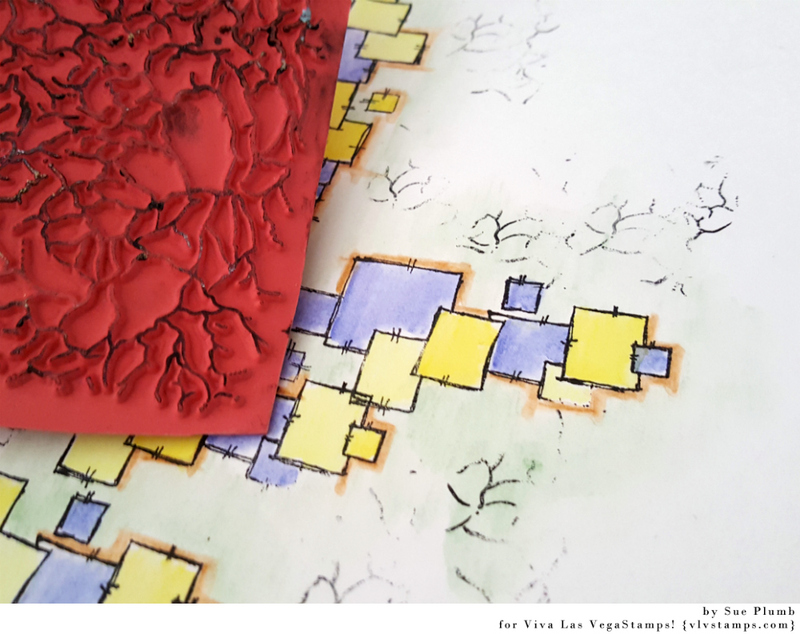 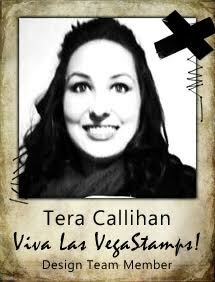 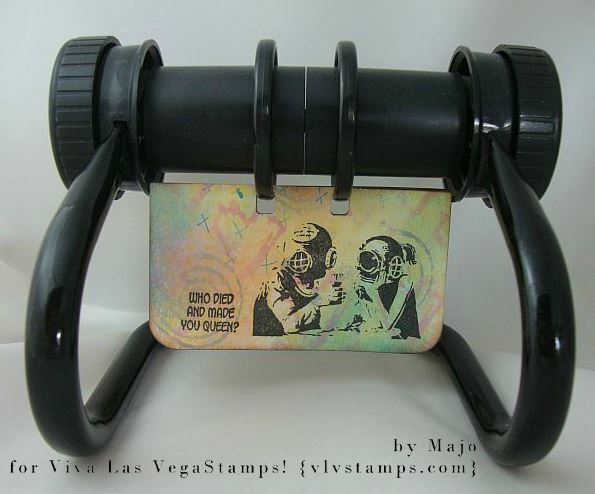 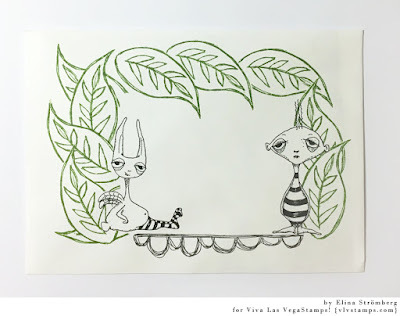 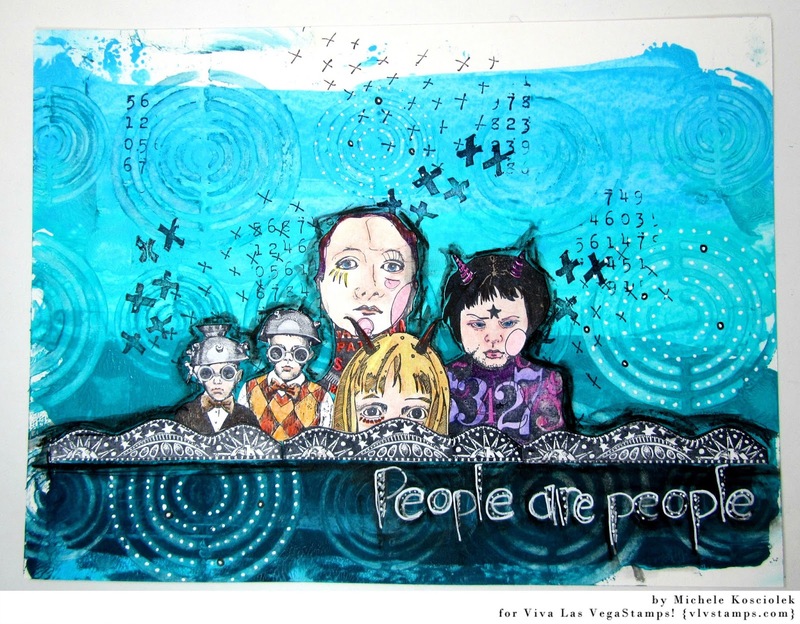 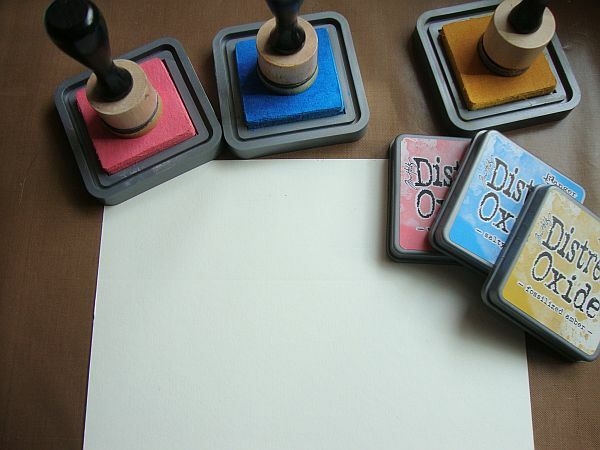 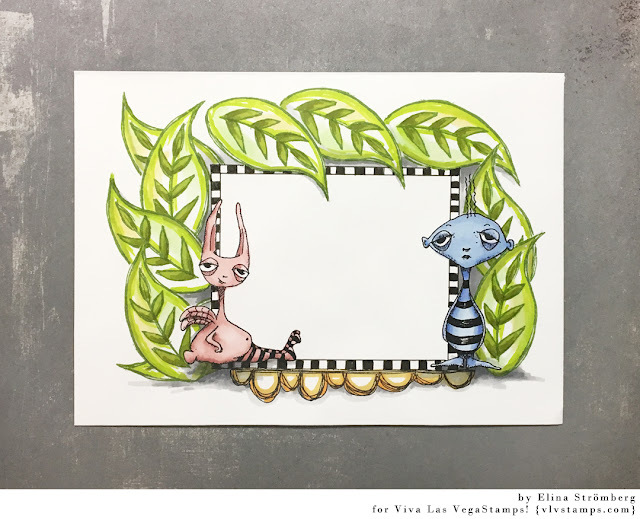 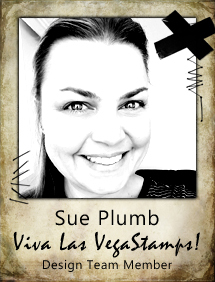 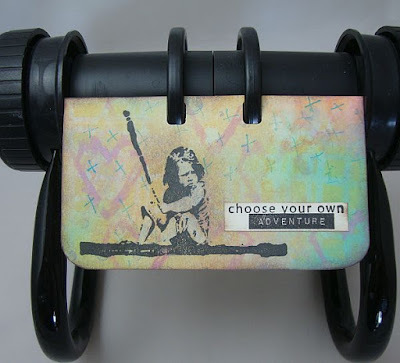 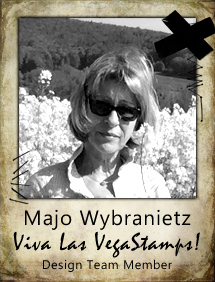 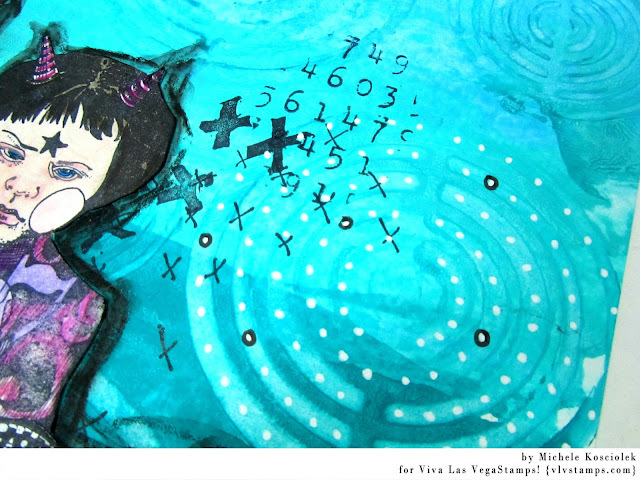 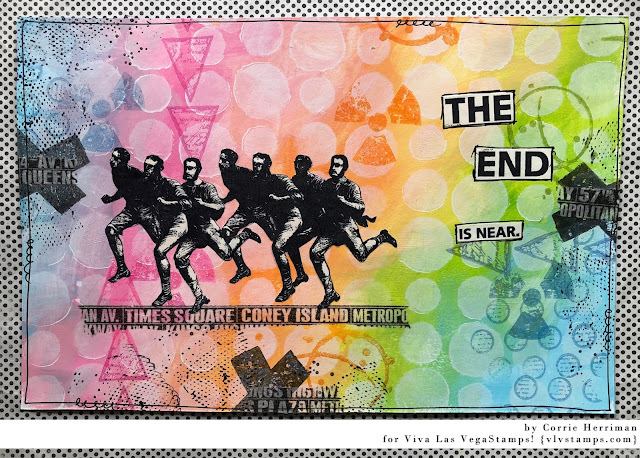 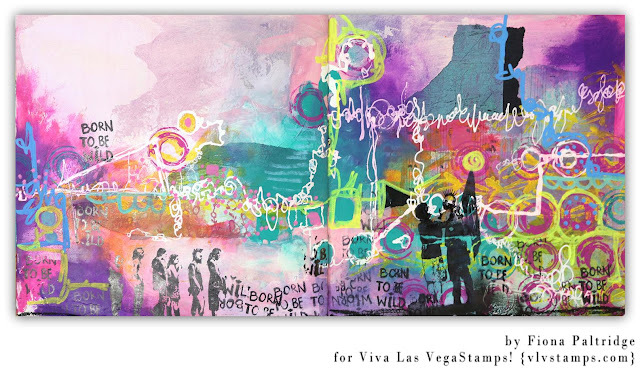 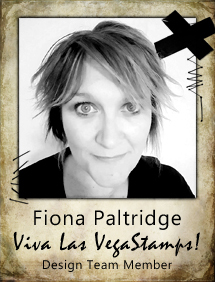 Labels: acrylic paint, archival ink, rubber stamps, stencil, Viva Las VegaStamps! 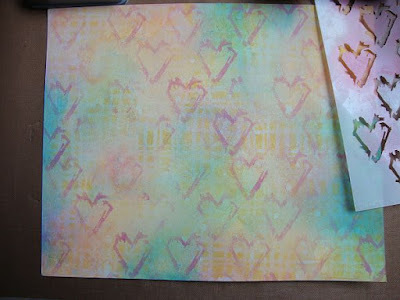 For my layout, I wanted to create a background that reflected the theme and the colours that were depicted in my photo. 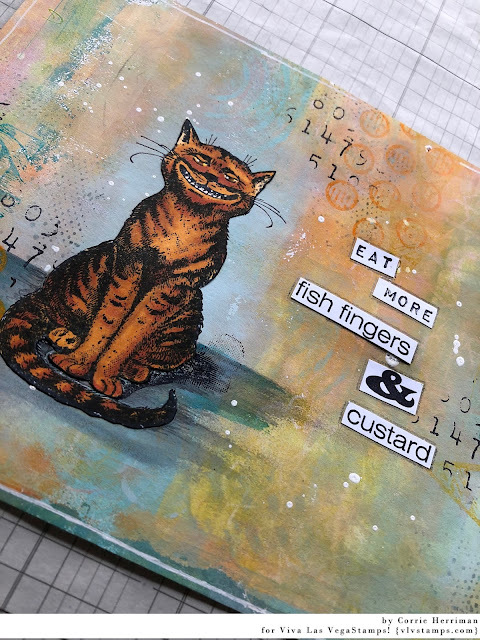 I decided to use the Overlapping Squares stamp (designed by Corrie Herriman) and stamp out a pattern on my page that I could then colour to suit. 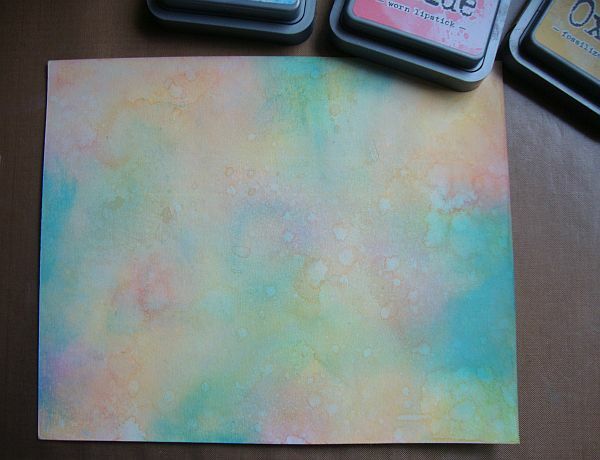 I used Staz On ink as I knew that I would be using a wet medium and didn't want it to run at all. 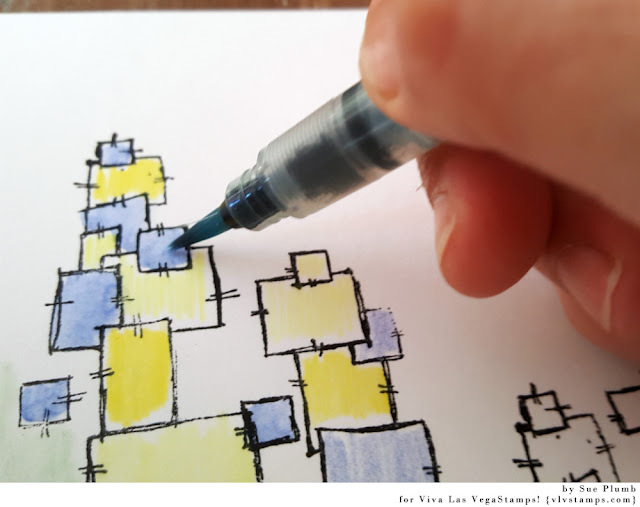 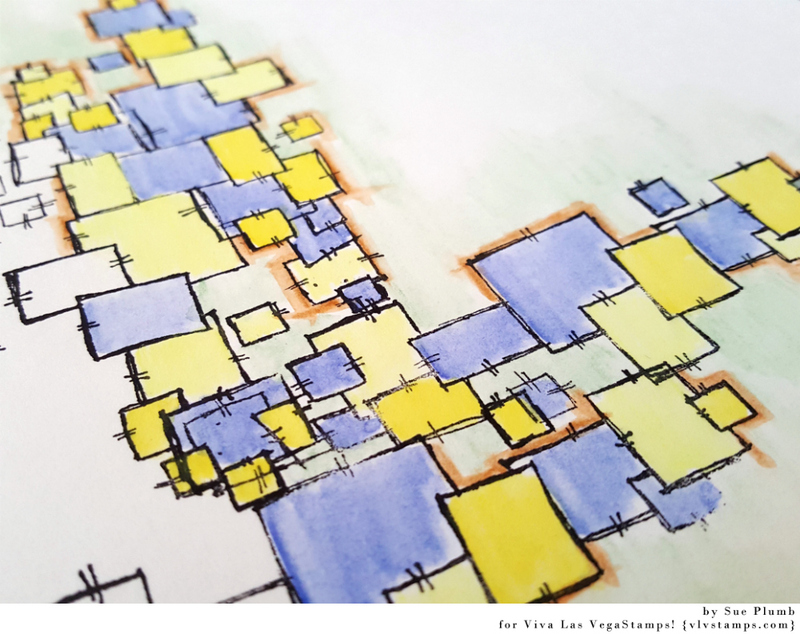 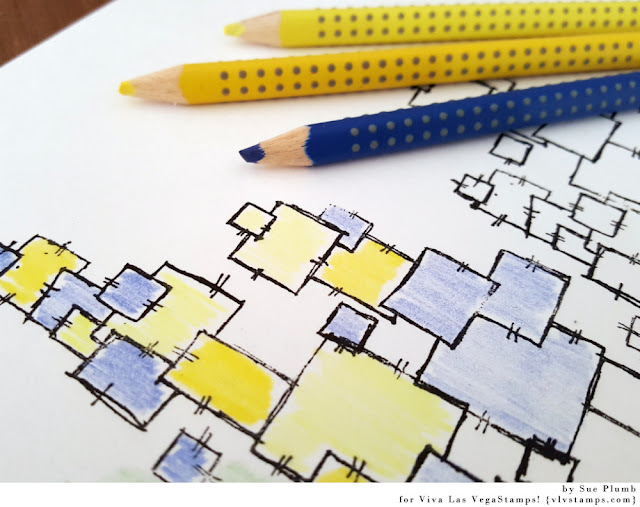 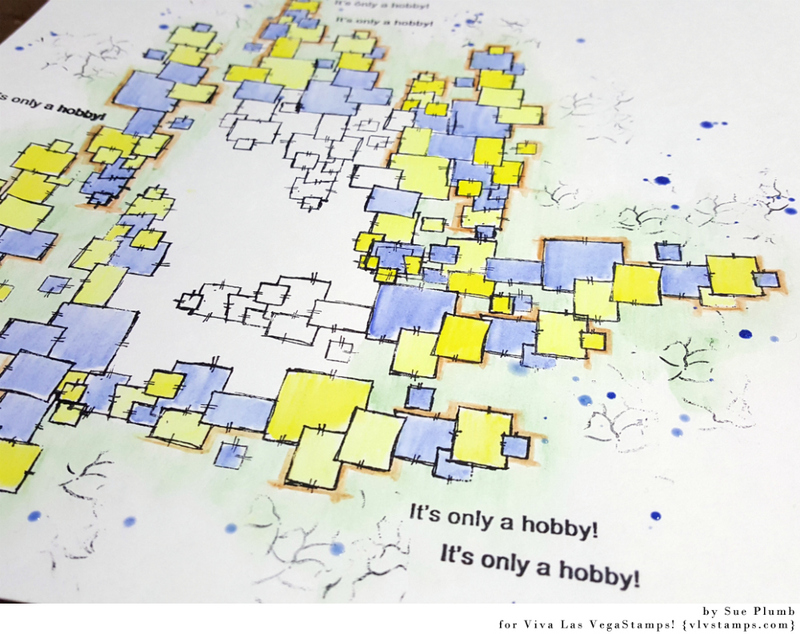 I then used Faber-Castell watercolour pencils to add splashes of colour to the squares, before blending the pencil out with a water pen. Once the squares were coloured, I also used the pencils to add some shading around and between some of them. 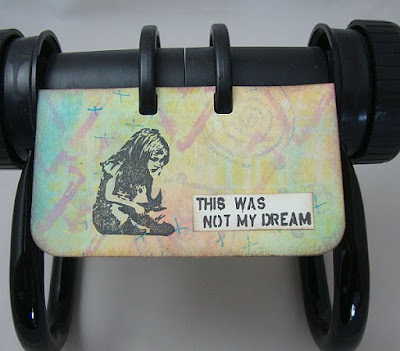 I then used the It's Only a Hobby stamp to add a few phrases to my background; before using a Colour Blast Colour Shimmer Spray to add some random splatters around my page. 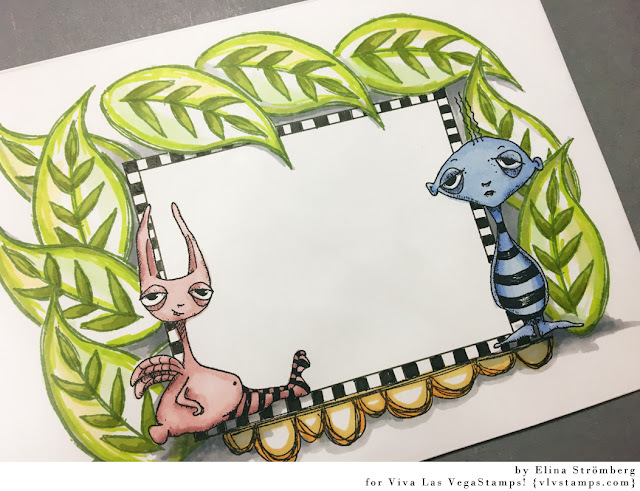 With the background complete, it was time to add some papery layers to my page. I used some patterned paper pieces from Amy Tan; along with some Project Life cards and a paper doily to create a mat for my photo and then adhered it to my page using Miracle Tape. 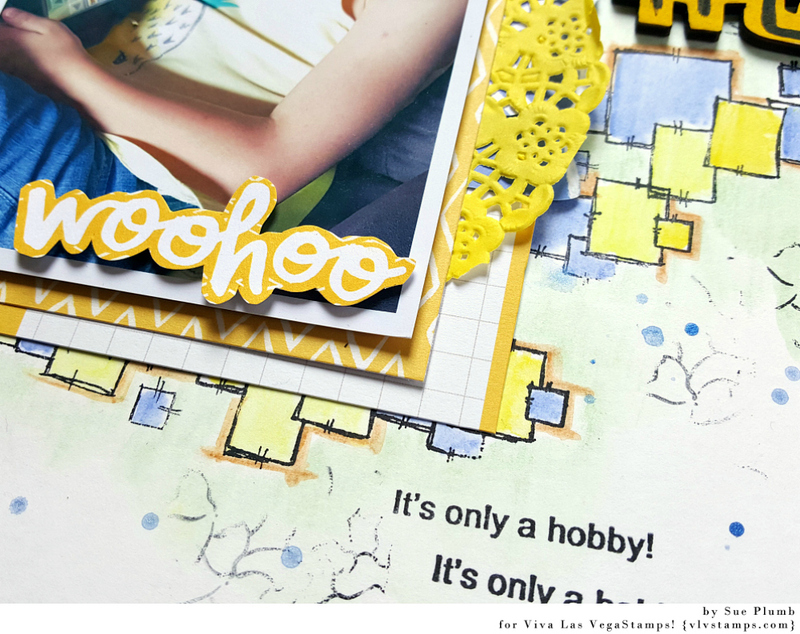 I added some scrap cardboard to the back of my photo to pop it up from the page; then added the word woohoo (fussy cut from another Project Life card) using foam tape on top. 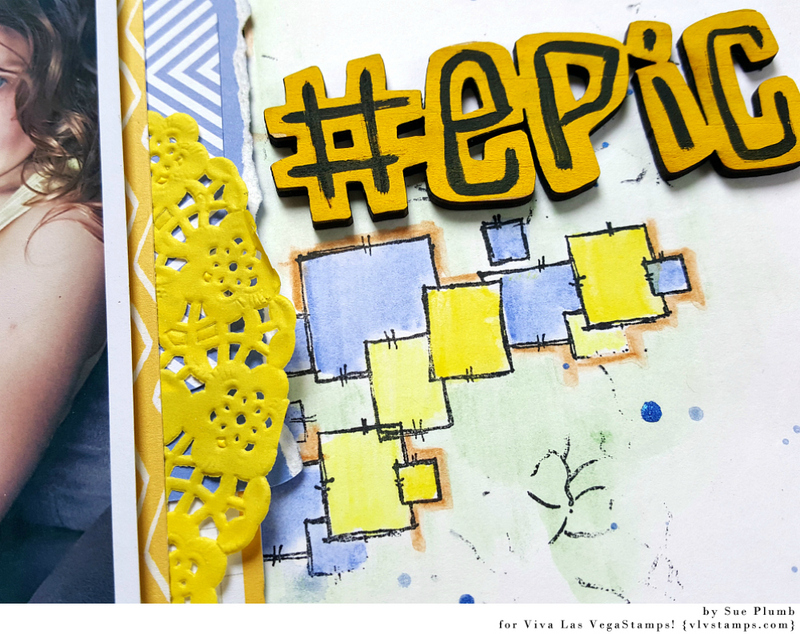 For my title I used a wood veneer word from D-lish Scraps, which I coloured using Posca pens. 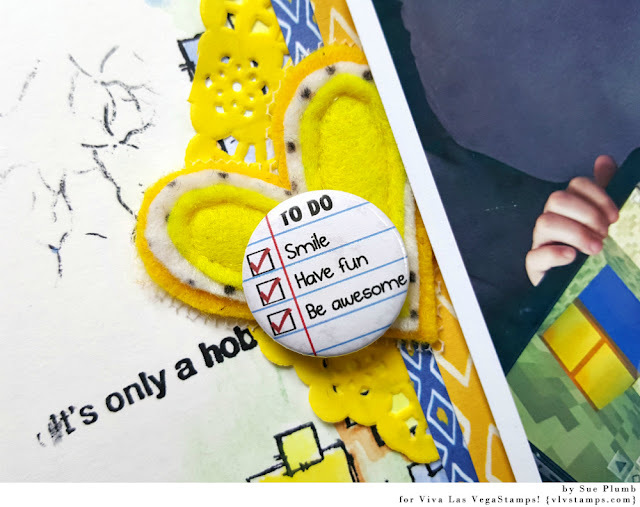 To finish off my page I added a Charms Creations handmade heart embellishment topped with a flair button from D-lish Scraps. today is my turn for another tutorial for you. 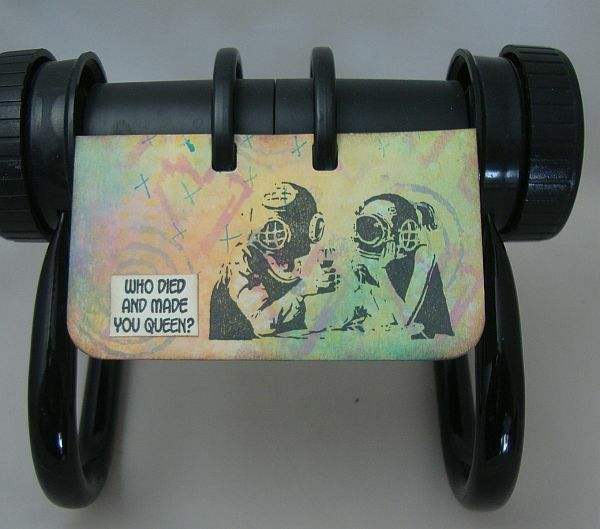 I haven't made any Rolodex cards in years. 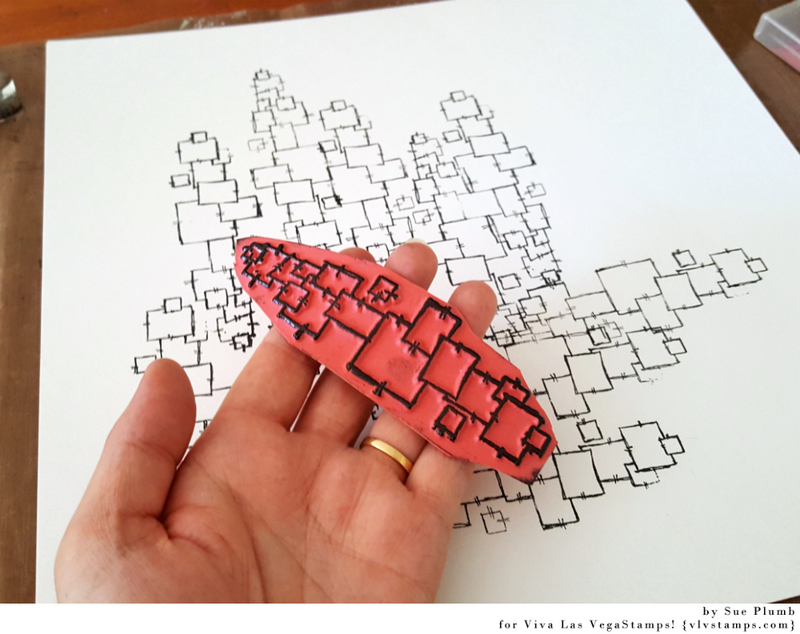 I once made a whole wheel as a present for a friend, now I thought it was time again to start a new one. 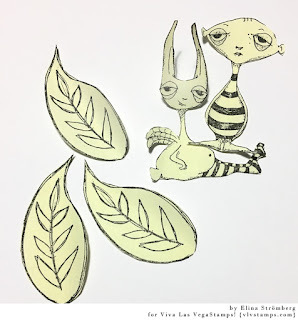 I bought some ready made cards, but they were so thin, I had to glue two together. I didn't like that, so I cut my own and use a corner rounder and the Heidi Swapp punch. 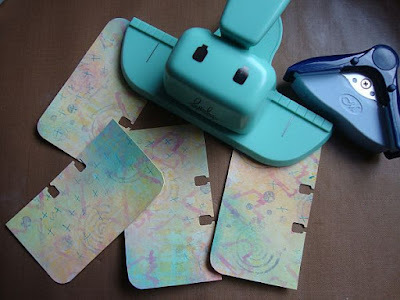 It's an American Crafts Metall memorydex 2-Bay Loch punch. I cut the cards (2 ¼ x 4"), rounded the corners and punched the holes for the wheel. 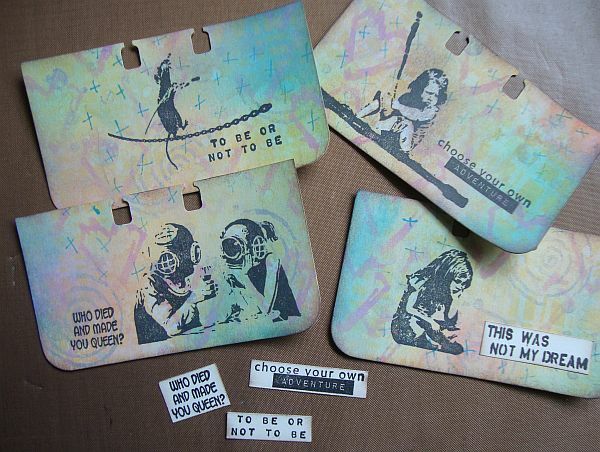 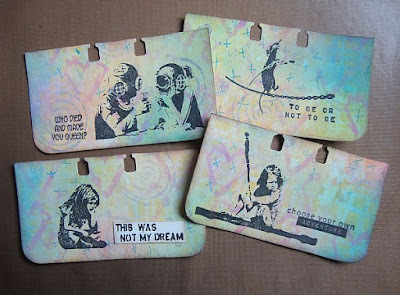 I stamped Banksy images and sentiments on my cards. 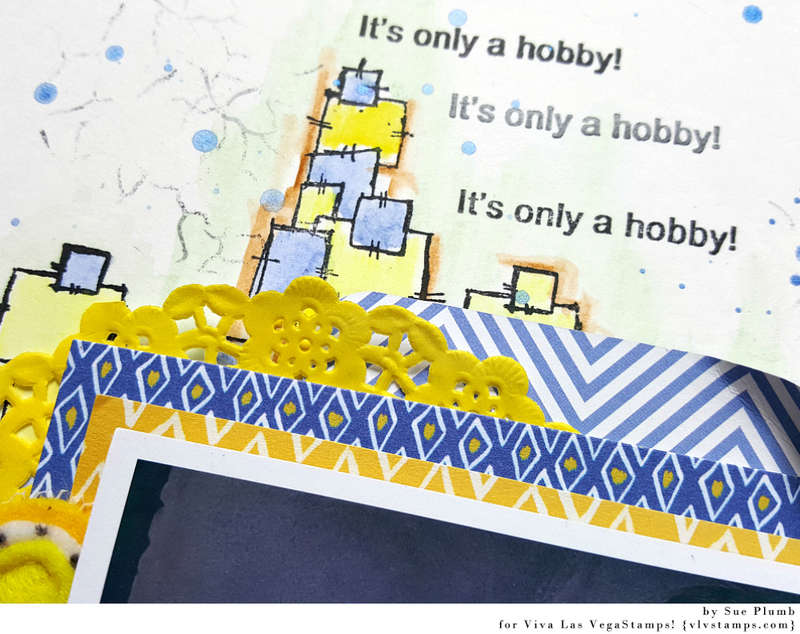 I wanted to get extra attention to the text, so I stamped it again on cardstock and adhered it to the cards. All I had to do now was distress all edges and get the cards "wheeling". 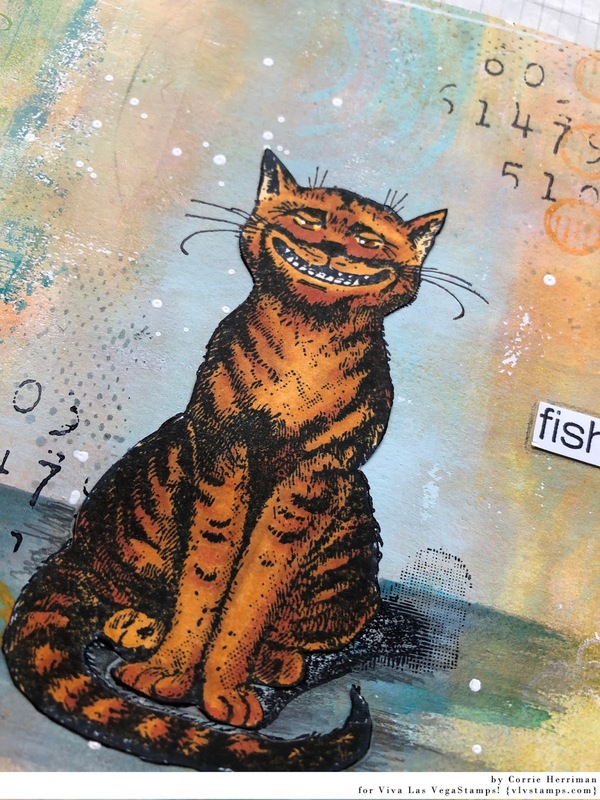 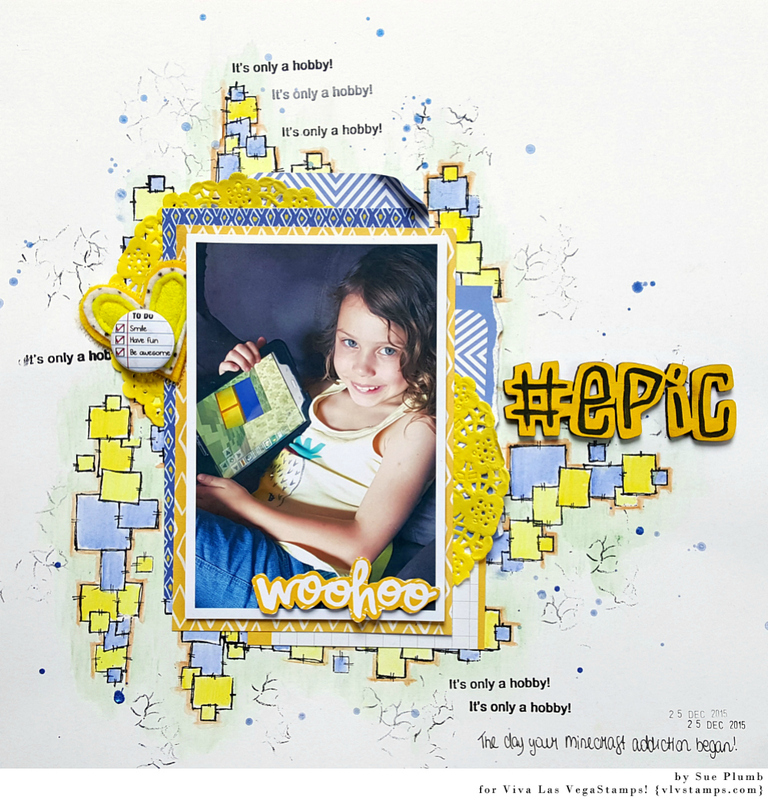 Michele here today with an art journal spread...I know, can you believe it?!!! 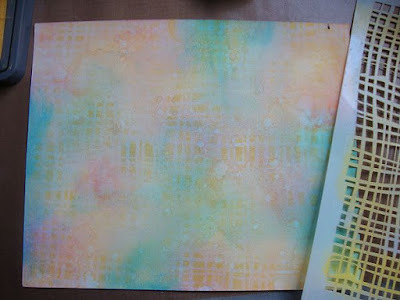 I started with a background I created with Dina Wakely paints and a stencil. 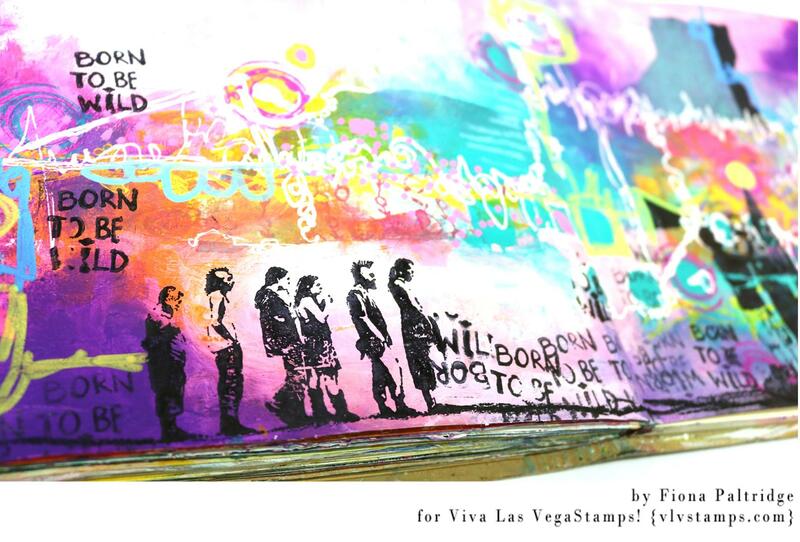 Stamping and doodling and this is what the final pages look like. I had so much fun coloring all of these characters on my page with my Prisma color pencils. 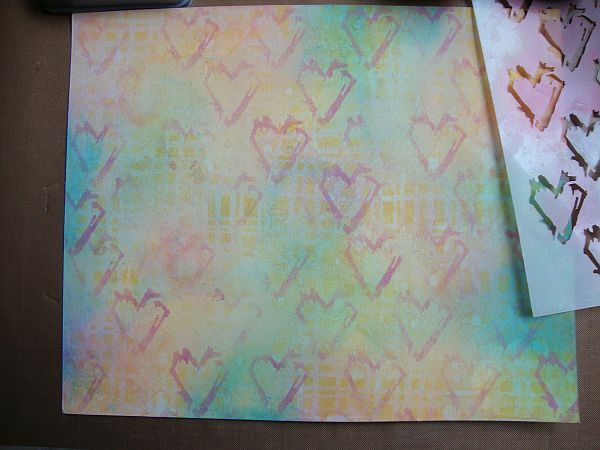 And this background...the stamping with the doodling...ahhhh. I just LOVE it! I had so much fun with this page! 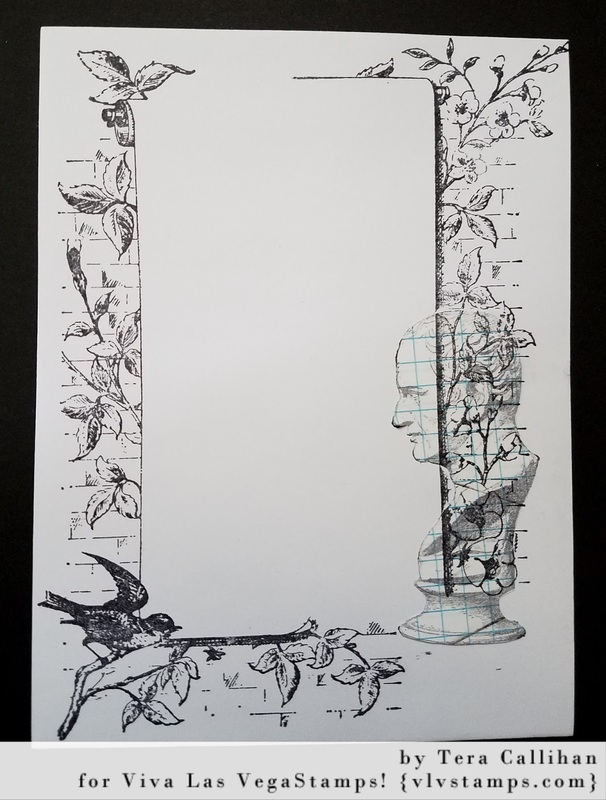 Thanks for stopping by to see it. 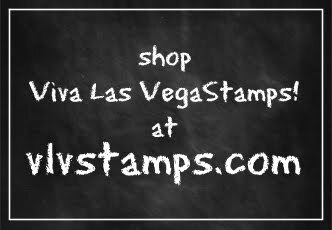 Labels: archival ink, Dina Wakely Paints, Dina Wakely stencils, michele kosciolek, Ranger, Viva Las VegaStamps!, VLVS! 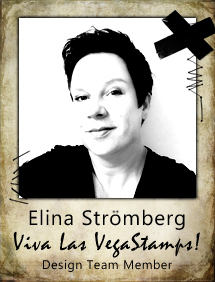 Hello my VLVS! 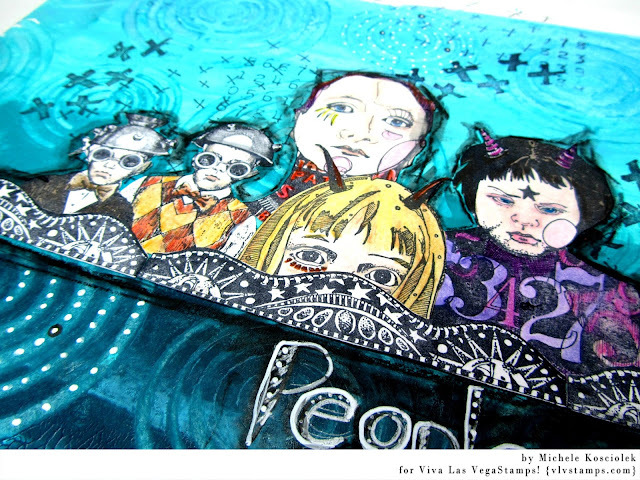 peeps. 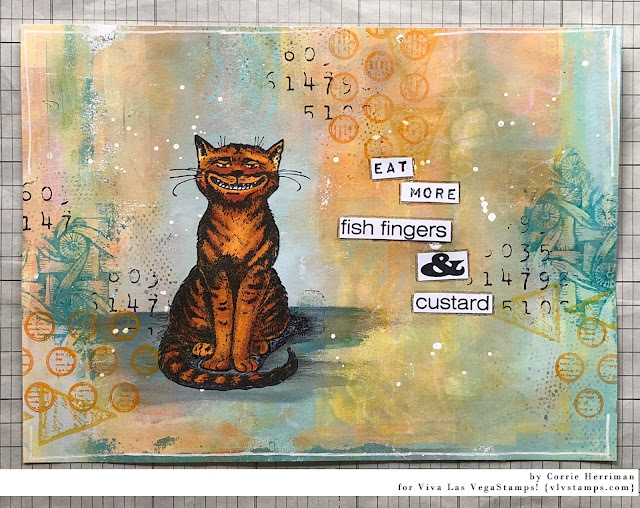 Fiona here with you today to share a very colourful art journal spread I have created using the fabulous red rubber from VLVS! 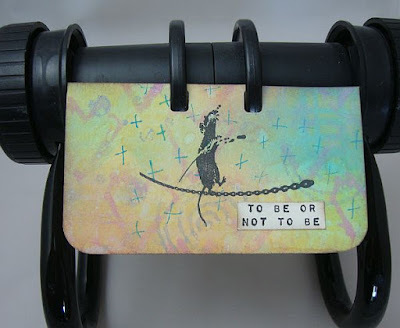 I really let my hair down with this one. Colour was my inspiration .... can you tell? 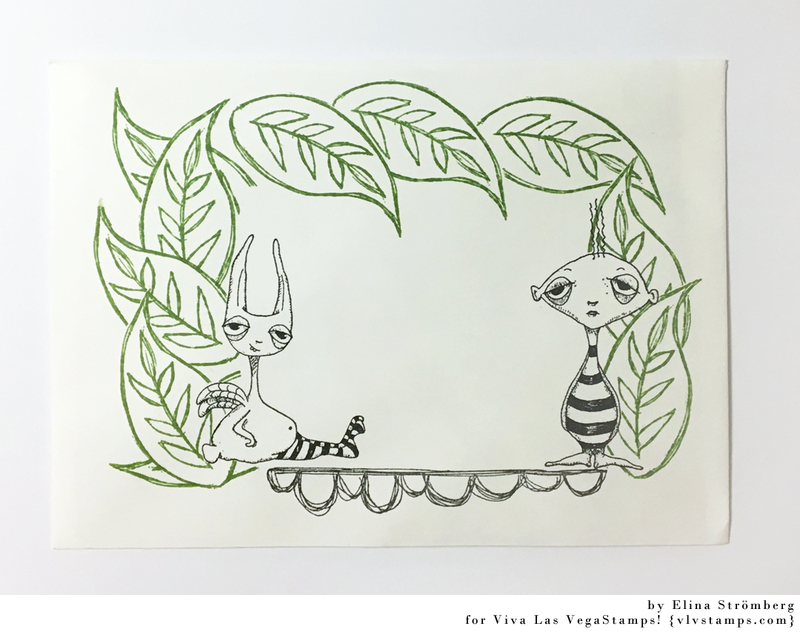 I featured some of the punk style VLVS! stamps .... they are honestly some of my favourites! I decided that "Born To Be Wild" was the perfect sentiment for this page. 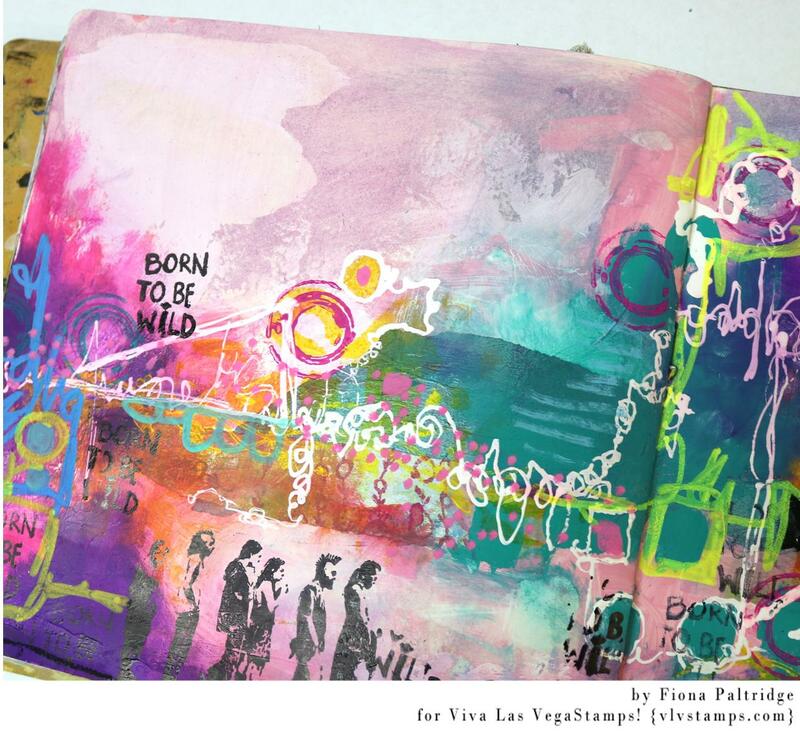 I think we should all aim to be a little bit wild every now and then.